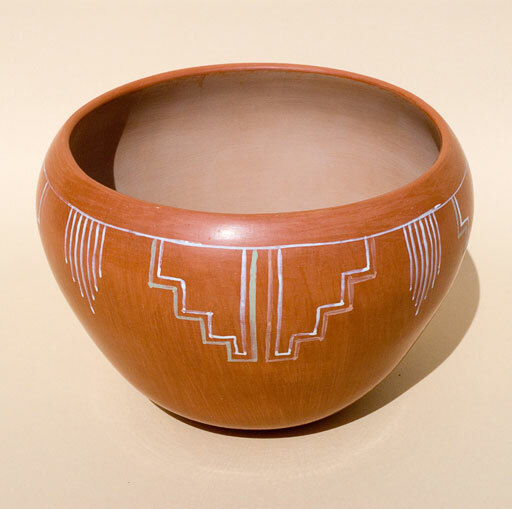 Clarence Cruz is Tewa from Ohkay Owingeh, formerly known as San Juan Pueblo, and a graduate of the University of New Mexico, with a BFA and MFA in Art Studio, and a minor in Museum Studies through an Internship at the Maxwell Museum of Anthropology. 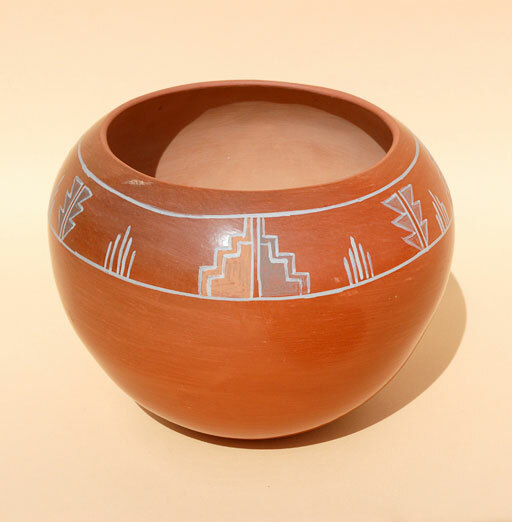 Through his contribution in the art of traditional Pueblo pottery, he was honored with THE LIFETIME ACHIEVEMENT ALLAN HOUSER LEGACY AWARD 2012, HONORING PUEBLO POTTERS, SWAIA SANTA FE INDIAN MARKET. He has had the opportunity to travel to China to be part of a faculty exhibition at Jingdezhen Ceramic Institute and hired as Consultant Curator for the Inaugural Exhibition for the Alfonso Ortiz Center, Maxwell Museum of Anthropology, University of New Mexico. 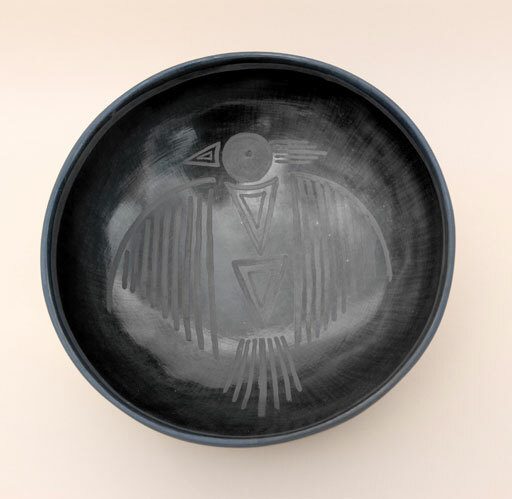 As a potter and instructor, he works with raw materials that he gathers from different sites on public lands. These materials consist of clays, slips, mineral pigments, volcanic ash, and Rocky mountain bee weed used for paint (black) or as a binder. 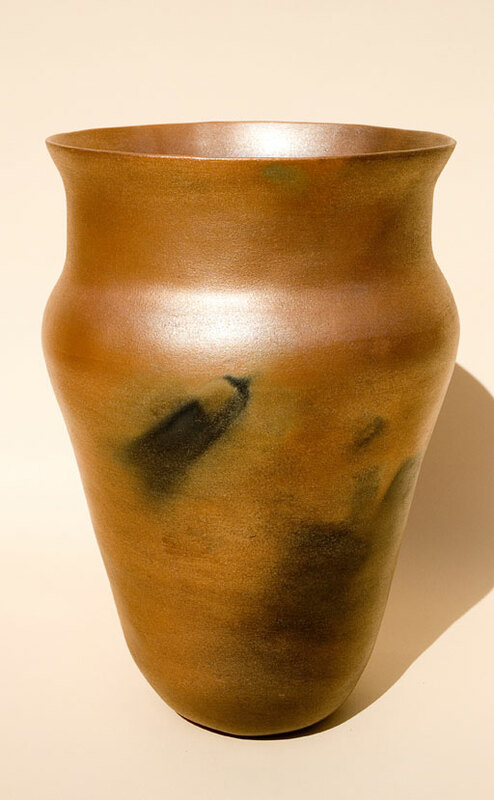 His pottery firings are outside firings, which are: reduction firing, oxidation firing, and open firing (fire clouds). 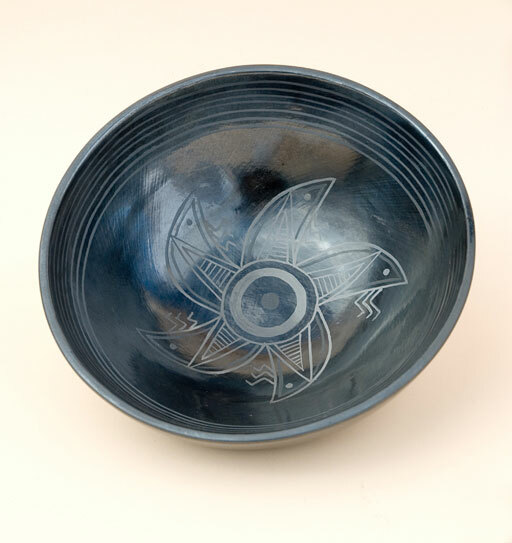 Through his continued education, he instructs classes in Pueblo Pottery at graduate and undergraduate levels at the University of New Mexico. 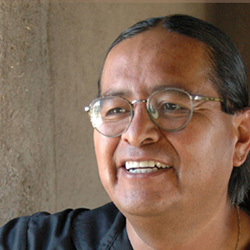 His expertise and knowledge are also shared at Santa Fe Community College in the Art and Design Department, Northern New Mexico College, Espanola, and with Native communities.